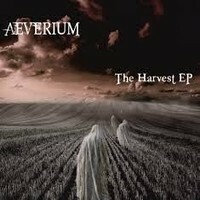 AEVERIUM is a female fronted Melodic Metal band with Gothic ricochets from Viersen, Germany. They are newly formed, since 2013, and recently released their debut EP “The Harvest”. All songs from debut EP were recorded with well-known professionals of the scene like Sander Gommans (AFTER FOREVER, HDK) and Amanda Somerville (TRILLIUM, AVANTASIA) at the Rockstation, Reuver, NL. “Do You Remember” rushes through a modern vibe with electronic elements, there is an amazing mix male and female vocals, with a strong similarity to AMARANTHE, the melodic and quite clear sounds with symphonic choirs in the background shares and association with NIGHTWISH. Marcel "Chubby" Römer has a voice that reaches for the stars but also displays his growl talent. “Rest in Peace” maintains the Gothic vibe of the modern spectrum, resembling H.I.M., a robust performance of heavy guitars, with amplified keyboards, and the sensitive voice of Aeva Maurelle employs the power of WITHIN TEMPTATION, unbelievable melodic chorus which is no less than memorable. Generally, a total hit that will hit your ears right from the start. “Heaven's Burning (Harvest Time)” made me think of the sweet sounds of EVANESCENCE, electronic fused, yet melodic, chorus enables a grey kind of mood, profoundly created. The clean vocals has that DISTURBED vibe along with the guitaring. “The Ground Beneath Your Feet” channeled a fresh spirit of coolness with violins' accompaniment, well implemented along with the charming chorus and excellent riffery. Each song on AEVERIUM's EP provides more info regarding the band’s diverse directions of music. The music channels an undeniable creative spirit, this achieving a level of interest. No doubt a band to watch out for in the future.